H. Keith Moore has practiced personal injury law for over 25 years after graduating from the University of Virginia School of Law in 1991. During that time, Mr. Moore has represented injured persons in a variety of personal injury cases. This included medical malpractice and car and truck collision cases. Mr. Moore has also represented individuals injured by the use of defective products and drugs such as tainted steroid injections. Mr. Moore has extensive experience representing injured railroad workers in FELA Injury and Railroad Retirement Board Disability Cases. He has tried FELA injury cases to verdict in Virginia, West Virginia, Tennessee, Georgia, Maryland and Ohio. Mr. Moore has represented injured persons throughout the State of Virginia and is also licensed to practice law in and has represented injured plaintiffs in West Virginia and Tennessee. Over the past 5 years, Mr. Moore has concentrated on litigating medical malpractice and wrongful death cases. 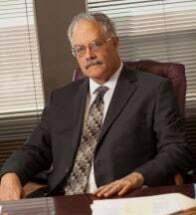 Over the past several year, he has litigated, mediated and settled medical malpractice cases, as well as auto and truck collision cases in Virginia, West Virginia and Tennessee. Mr. Moore is experienced litigating and trying cases in the Federal Courts and State Courts of Virginia, Tennessee and West Virginia as well as the Virginia Court of Appeals and the Supreme Court of Virginia. See Norfolk and Western Railroad Company v. Johnson, 251 VA 37 (1996). Mr. Moore is a member of the Million Dollar Advocates Forum. In order to be a member of this forum, Mr. Moore had to obtain verdicts or settlements of $1 million dollars or more in various personal injury cases. See Settlements and Verdicts.